For those of you who have already begun the uphill battle of propelling an online course to various digital quarters, you’ll know that one of the main challenges of sustaining an eLearning business is the retention of users. Acquisition and retention are two sides of the same coin that have to be pursued equally; more so in an internet-based learning tool where the product is entirely intangible. The key to retention is active, continual engagement with users, an element that often falls short in the months that follow a user’s onboarding. If you’re still in the early stages of building your eLearning platform, you haven’t missed the bus just yet. There are measures you could adopt right away that could keep your users level as you launch and grow your online learning service. An easy and effective way to ensure retention right from the outset is to invest in a pre-built technology that supplies analytics and retention tools for behavioural tracking for the Online Learning Software. Pinlearn, a cutting-edge turnkey eLearning framework, is a fantastic addition to any technology stack. It is armed with an array of retention-led tools that can help you serve your users better, cater specialised solutions and shuffle your offerings in tune with your users’ preferences in the online course software. 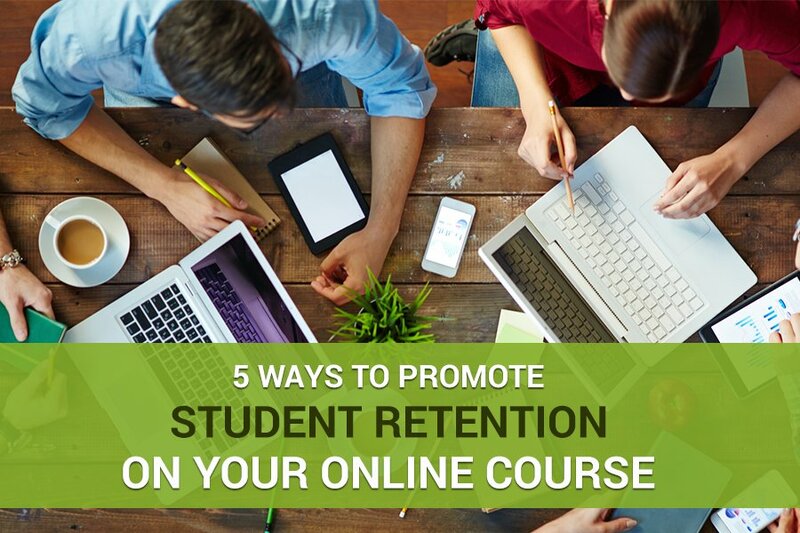 Here are some simple tips and tricks you could use to promote student retention on your platform. Students, regardless of their age, need to be motivated to reach milestones. A promotion could help build enthusiasm within your student circle. After all, there’s nothing like a little word of mouth to get things going. Promotions are particularly helpful if you’re running a class for working students. You need to remember that your class may not be their first priority; they’re here because they’re interested, not because they’re necessarily obliged. Come up with clever, creative ways to have students complete a module by a specific date or submit an assignment early. You could offer a free module or gift in exchange. Or you could take a more personal route and choose to have a special one-on-one interaction with the first five learners who qualify. A promotion is also a great tool to cross-sell your other content. By creating a promotion mounted on one of your previous courses, students will be forced to research additional information from a prior course of yours. This could lead to more revenue for you with the Online Learning Software. Influencer-led marketing isn’t only powered by celebrities, spokespersons and people of power. It can be as grassroot as social media sharing. When students share their assignments and projects on social platforms, it can spark curiosity amongst their followers. You could even supply your students with a hashtag to tie posts about your platform together. If you pick a framework like Pinlearn, your users will be able to comment, share and like even within your platform. Social media can serve as a natural extension to this culture. Facebook Groups can also work as great influencing tools. You could handpick a few of your learners to join student groups on Facebook and subtly promote your brand. Reward them by offering them a free class from time to time. It is important to gauge learner sentiments at regular intervals when you’re hosting an online learning course. Gaining insights can steer you towards new content modules, tailored course content and better engagement augmentation methods. Use surveys and anonymous questionnaires to collect feedback. Ask users what they’d like added in the course, their favourite topics and areas of improvement. By acting on feedback, you can demonstrate to users just how valuable they are. If possible, host a live stream every week and invite questions beforehand. By collecting feedback frequently, you can show students you care. Let’s go back to the example of Pinlearn to illustrate how you can integrate live streaming onto your eLearning platform seamlessly. Pinlearn provides an inbuilt live streaming tool that you can use to broadcast live to your audience. This way, you don’t have to employ any third-party software for your live or archived videos. A softboard can be a great canvas for thoughts, ideas and inspiration. Post a positive message every day to your students and you’ll notice how easily replies start pouring in. You can also use this board as a discussion forum. Post links, articles and pictures here with embedded sharing links to social media platforms with the online course software. When you have a regular well of content to offer students, you’re more likely to see repeat sales. Develop a content calendar and pace yourself to develop new content in line with your milestones. Interested students will soon notice a pattern to your publishing schedule and will start anticipating new content. Novel content can work as a hook for students, keeping them engaged through content cycles on the online learning software. Promoting student retention isn’t complex or difficult. With an effective engagement strategy, you can keep your users in your corner as long as you try.